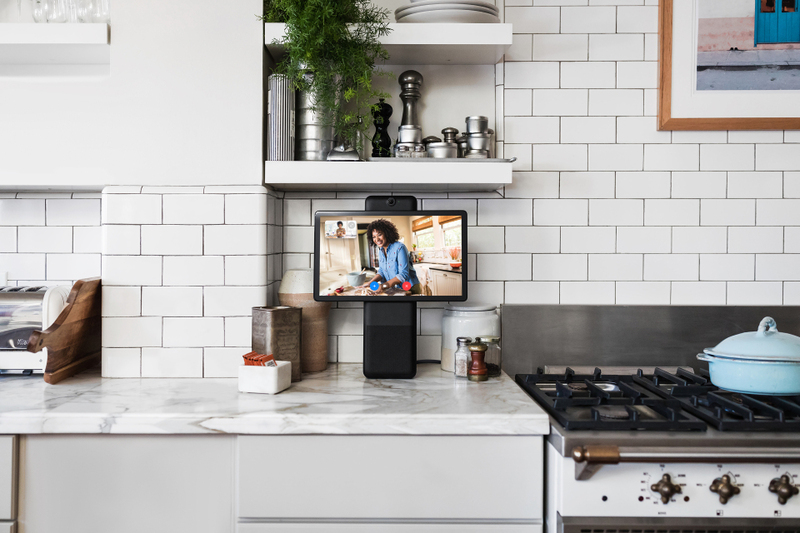 Facebook’s Portal and Portal+ video calling devices go on sale today priced at $199 and $349, respectively. The camera-equipped devices caused quite a stir when they were first announced back in October given Facebook’s recent data and privacy scandals. Now that they’re here, some are wondering whether or not they’re worth the investment. For some insight, we turn to the experts who have been using Facebook's new Portal devices over the last several days. Here's what they have to say. 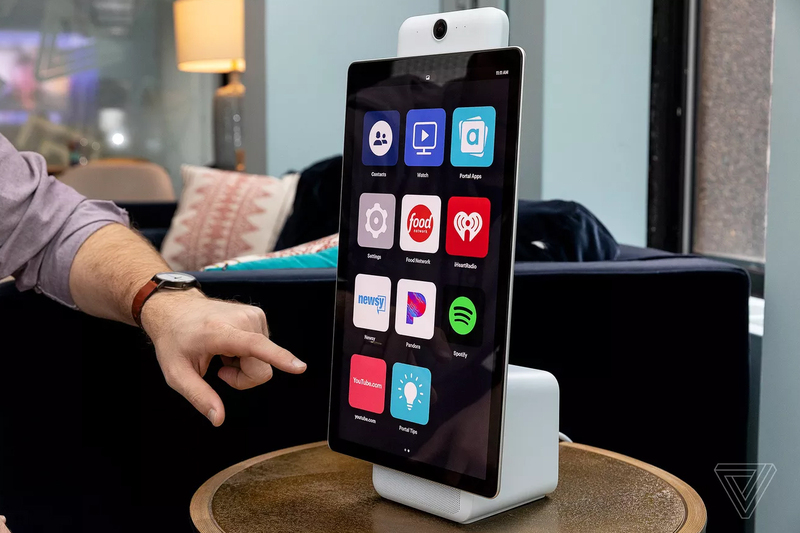 The "normal" $199 Portal has a 10-inch screen and looks similar to Amazon's Echo Show except it's white instead of black and the speakers are underneath the display (instead of behind it). Then there's the $349 Portal+, which has a large 15.6-inch display that rotates from landscape to portrait mode. Both have decent displays with good color and contrast -- the smaller Portal has a 1,280 x 900 resolution while the larger Portal+ is 1,920 x 1080. The Portal+ obviously takes up way more room, which I found to be pretty overwhelming. It barely fits between my kitchen counter and cabinets, and when it's in landscape mode it doesn't leave a lot of room on either side for other countertop items. I also think it's pretty ugly. For a device that's supposed to be part of your home, it sticks out like a sore thumb. If I had to choose a Portal based on design alone, I would definitely opt for the Portal over the Portal+. The larger Portal+ certainly has better video quality, and the portrait mode is useful in some instances (I'll get to that shortly), but I'm not sure if the tradeoff is worth it. 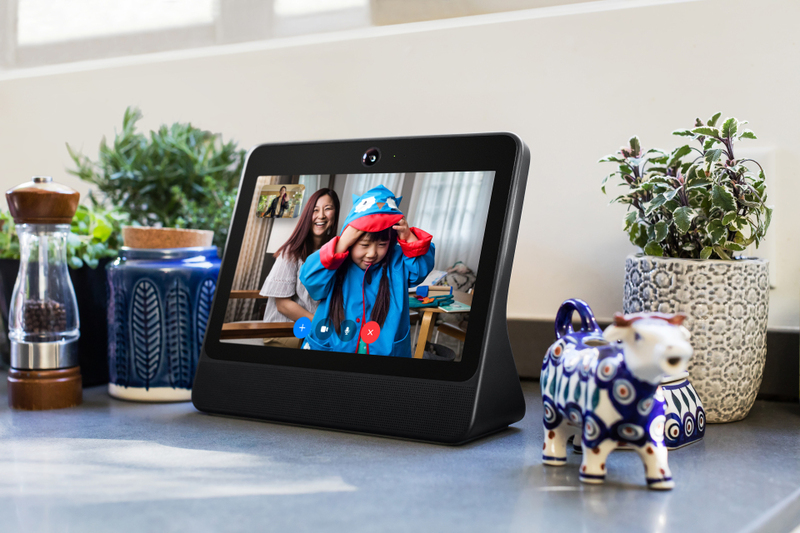 What distinguishes the Portal Plus and the Portal from the Echo Show, competing devices powered by Google or even a phone with a decent video chat application like Apple's FaceTime, is the Portal camera. On both Portal devices, the camera boasts a 140-degree field of view, which gives you a much larger look at a caller's environment. The camera can automatically pan and zoom around the video image -- thanks to a feature called Smart Camera -- to concentrate on the person in the frame. Another feature, called Spotlight, tells the camera to focus on a specific person when there are multiple people on screen. The overall effect of the Portal's excellent camera is an expansive view of the caller's environment, and an improved sense of closeness for the viewer. It makes you feel like you're there with the people on the other side of the screen in a way that competing video chat devices and services can't duplicate right now. Another feature that sets Portal apart from its competitors is the ability to quickly sling a call from Messenger on Portal to Messenger on your smartphone. This is important when you need to move away from Portal and is also really useful for privacy. For example, during one call with a close friend, the conversation began to drift to a sick family member and his relationship with his girlfriend. Since there was another person in the room, I quickly moved the conversation to my phone by tapping a button in the Messenger app, and I left the room. The unboxing process was funny to me. It felt like an Apple design moment; every piece of plastic and “pull here” tab was carefully placed, with the intentionality that Apple usually saves for its device packaging, but with a very Facebook-y twist on things. There was an iconic Facebook thumb on my power cord holder, for example. Setting up my Portal Plus was easy. Popped the thing out of the box, plopped it on my desk, plugged it in, connected to Wi-Fi and my Facebook account. Outside of video calling, the Portal’s functionality is rather limited. It can display pictures from your Facebook account when it isn’t being actively used. It can stream music from Spotify, Pandora, or iHeartRadio. It can stream video from an extremely limited number of sources, including Facebook’s floundering Watch service, Newsy’s series of short news clips, and the Food Network, which offers a bunch of Tasty knockoff videos in a square format that doesn’t fill the screen. There’s also a very rudimentary YouTube experience, which consists of a clumsy browser view of the YouTube smart TV app that’s difficult to navigate by touch and can’t work with voice controls. The Portal does not have Netflix, HBO, Hulu, YouTube TV, Amazon Prime Video, or any other video service you can think of. You cannot cast content from your phone to it, nor does it have a web browser for looking up recipes or other information. Hilariously, you can’t even browse your Facebook News Feed on it. Facebook says it plans to bring more video content to the Portal in the future, but at launch, it’s woefully unequipped. The button placement is a bit of a **** show. The way I have the Portal+ set up on my desk, the buttons are above eye-level. Makes sense, you want the display right around your face, you know, to look at it. This means when I want to, say, change the volume, I find myself fiddling in the dark for them. Given that they’ve got no tactility, I invariably end up hitting the wrong one, more often than not jacking up the volume in the process. Similarly, I often end up hitting a button or two when attempting to clip on the lens cap. Next time out, Facebook needs to either go with physical buttons or find a better spot to place them — tough, I know, given the odd shape of the thing. The oddest thing about the Portal+ isn't the interface or design. It's that Facebook thinks people will be comfortable having one of its always-listening microphones and cameras in the home, despite its string of recent privacy issues. The Portal+ is new and will likely evolve as Facebook sees how people are using it. For now, it's an awkward mishmash of technology trends that despite any redeeming qualities -- and there are a few -- feels like a genuinely bizarre product for a company plagued by privacy concerns. I don't think Portal will be a good fit for most people. Even though I was impressed with the unmatched video quality and the smart camera that followed me around, the rest of the experience felt unfinished. Facebook seemed to admit as much, noting that features like a browser and more apps are coming later. Over the past year, Facebook has consistently shown that it's incapable of keeping its user's private data safe. Several breaches have exposed personal information on millions of its users, and now it's asking its customers to pay money and bring a Facebook product with microphones and cameras into our homes. 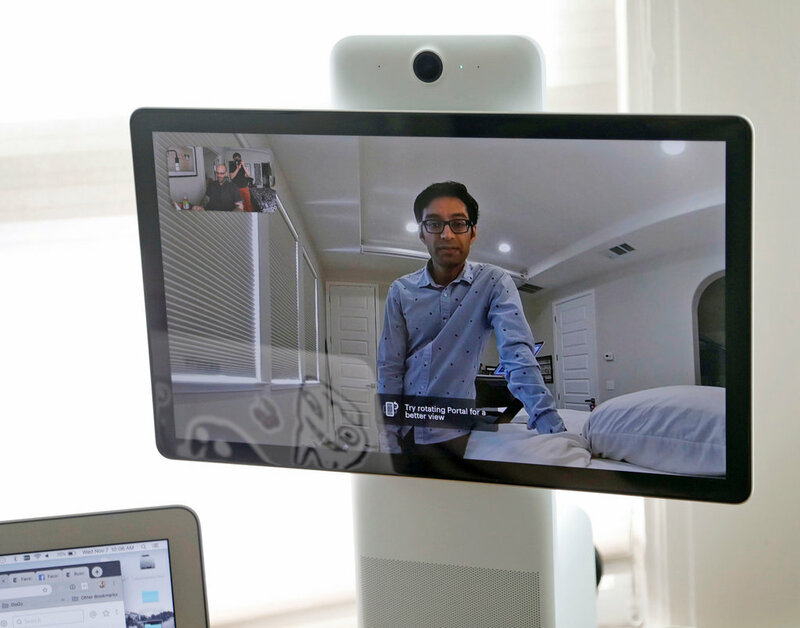 The company originally said Portal was only going to be used for video calls, but then had to backtrack and explain that data collected from Portal like frequency of calls or the time you spend during a video call may be used for Facebook ad targeting. I don't like that, and even if Facebook says it doesn't listen to the calls, it hasn't proven that it has the security to really promise that other people can't.